Function Point released the 2018 Agency Productivity Report. A majority of advertising professionals don’t think their agencies are operating as efficiently as they could be—and in most cases, they blame clients. That’s the primary takeaway from the 2018 Agency Productivity Report from Canadian software company Function Point in partnership with the Agency Management Institute, or AMI. 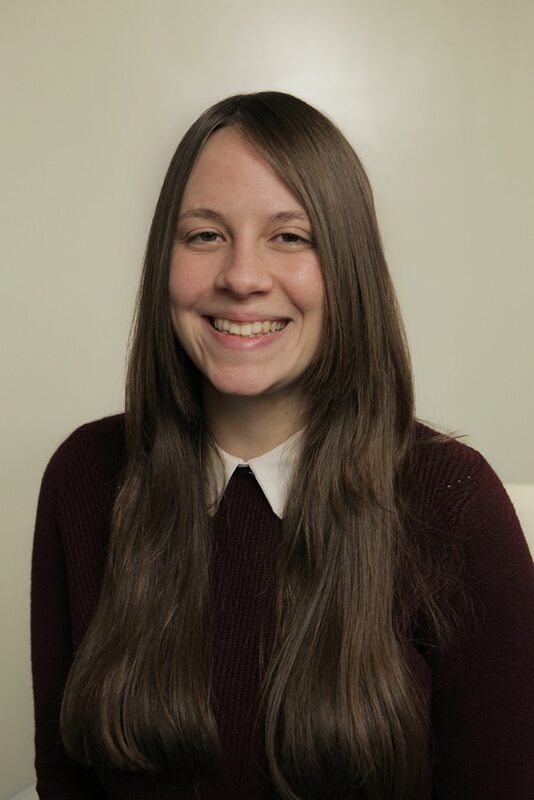 Function Point surveyed 406 professionals from creative agencies, internal marketing departments and service firms in the U.S. and Canada, and found that 67 percent of agencies believe they overservice half of their clients, while 29.8 percent estimate they overservice between 70 and 90 percent of their clients. More than four in 10 respondents said they don’t track their team’s time accurately, and 68.8 percent often face communication breakdowns, which they blame on inaccurate or incomplete briefs with too many last-minute changes. 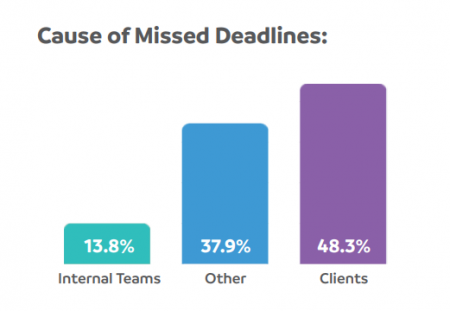 When asked to assign responsibility for missed deadlines, a majority of the respondents pointed squarely at their own clients. Many agency respondents fear enforcing rules like strict deadlines on clients. The report showed that nearly half of participants fail to manage conflicts between creatives and clients. “I think some of our account team is nervous about making the client mad or seeming demanding,” one unidentified chief operations officer explained in the report. It’s no better on the creative side—48.5 percent of creative respondents noted there “are no repercussions” for employees who overservice clients, and therefore, it continues to happen. Function Point, whose software products focus on time management, offered some tips including measuring and tracking employees’ time as accurately as they measure a campaign’s performance; putting clients on retainers to better track changes and improve planning; demanding a thorough creative brief session; and adopting project-management software (which the report found resulted in increased productivity for 74.9 percent of respondents). 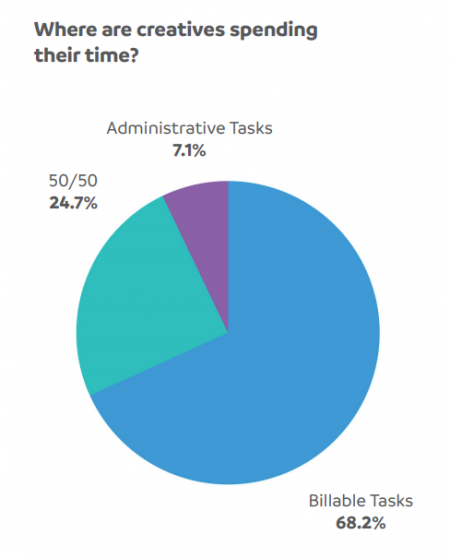 The Agency Productivity survey was conducted from November through mid-January. Function Point and AMI said they decided to make the annual productivity report available upon request to the public this year to allow agencies and marketing professionals to improve their operational models.